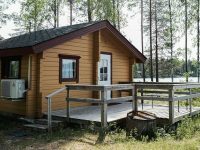 Marjoniemi Camping offers camp-level, mid-level and high-quality level accommodation from small cottages to villas and hotel rooms. 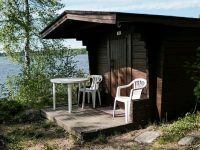 We are located on a clean and scenic Pyhäjärvi beach. Room for two at the Manor Hotel. The Manor Hotel suite for two. 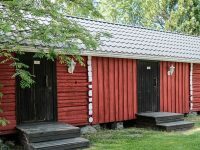 Four-person shed rooms at the courtyard. 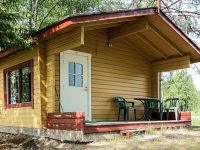 Two-person shed room at the courtyard. Cozy four-person courtyard loft rooms. 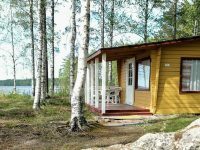 Small lakeside cottages for two. 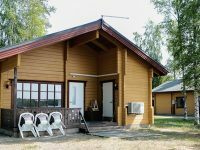 Small cabins with two bedrooms. 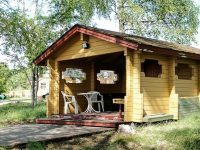 Lakeside cabin for up to four persons. 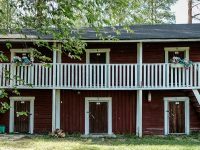 High quality villa with a private sauna for 7-9 people.